The Morning Dialogues are an informal series of discussions between the President of the General Assembly and Permanent Representatives on issues of concern to the United Nations. The Dialogues are meant to provide an opportunity for genuine dialogue and exchange of views. Their informal nature makes them ideal for sharing views, generating ideas and bridging gaps. I’m launching this series because I believe in the power of dialogue. At UN debates, it’s typical for diplomats to read out prepared statements. But I think we can all do more to foster a culture of real communication. I hope the Morning Dialogues will provide a platform for us to truly listen to each other and exchange views in a frank and constructive way. What are these Morning Dialogues? The Morning Dialogues are an informal series of discussions between the President of the General Assembly and Permanent Representatives on issues of concern to the United Nations. Why this new series of meetings? The Morning Dialogues are meant to provide an opportunity for genuine dialogue and exchange of views. Their informal nature makes them ideal for sharing views, generating ideas and bridging gaps. Are the Morning Dialogues a new GA process? The Morning Dialogues are not a new GA process and they will not be a parallel track to existing processes. What will be the format of the Morning Dialogues? 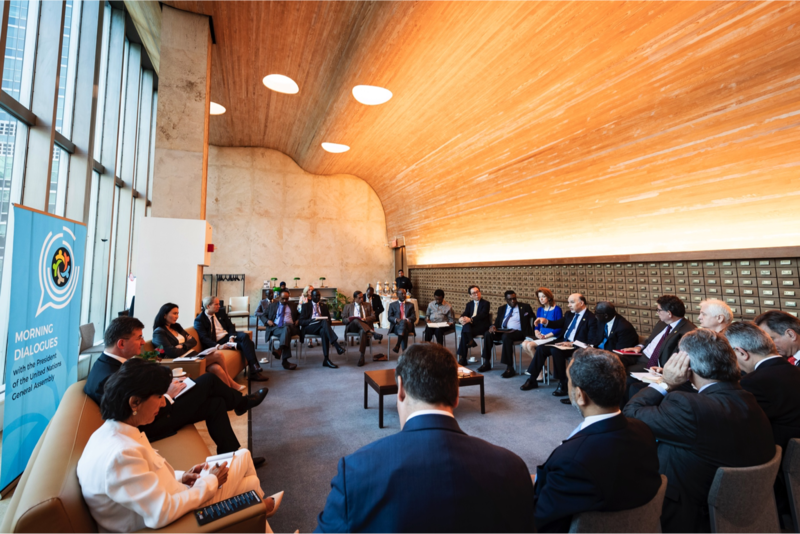 The Morning Dialogues comprise small groups of Permanent Representatives in an informal conversation with the President of the General Assembly. Participants will engage in their personal capacity. There are no speeches or prepared remarks but instead a free-flowing dialogue on the topic being discussed. Which Permanent Representatives will be invited to the Morning Dialogues? All Permanent Representatives will be invited to join in the Morning Dialogues. Each session will have about 20 participants. The series will be inclusive and take place over the course of the 72nd Session.